List of Important Historical Monuments that located in India with the person who built it were given below. 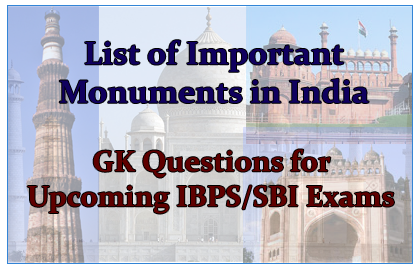 These were more expected gk questions for all IBPS, SBI and Banking Exams. Candidates those who are preparing for those exams can use it.